In politics, "when it gets serious, you have to lie." 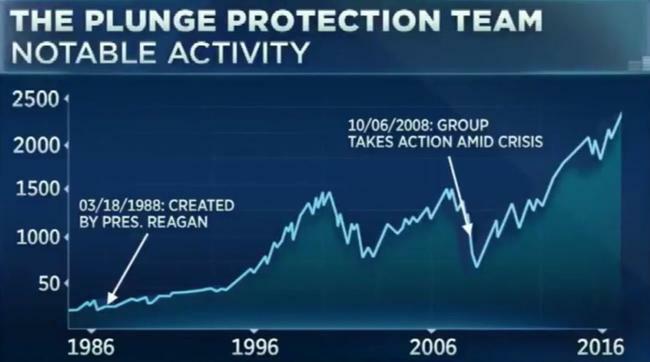 America's Plunge Protection Team has been a long-standing feature behind the scenes since Greenspan (some even think it has been around since 1944), ready as equity market buyer of last resort (and even getting subsidies for doing so from the exchanges). But America's lessons have spread. China's National Team is more erratic, sporadic, and definitely less successful. 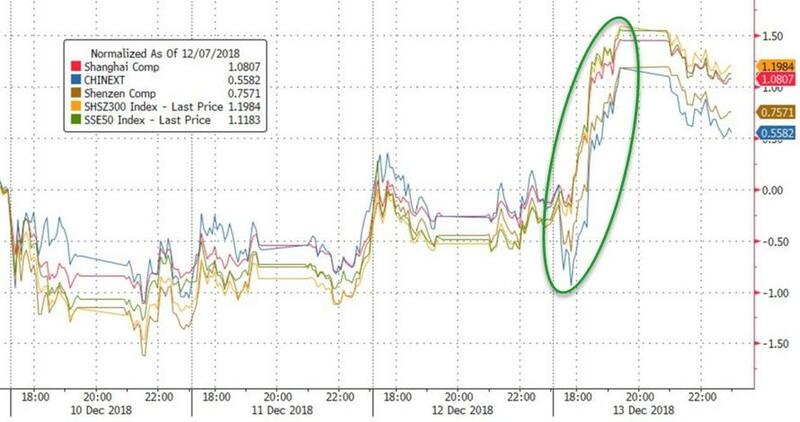 But is nevertheless conspicuous in its sudden panic-buying sprees when Shanghai Composite nears critical levels (or economic strength needs to be projected domestically or otherwise). 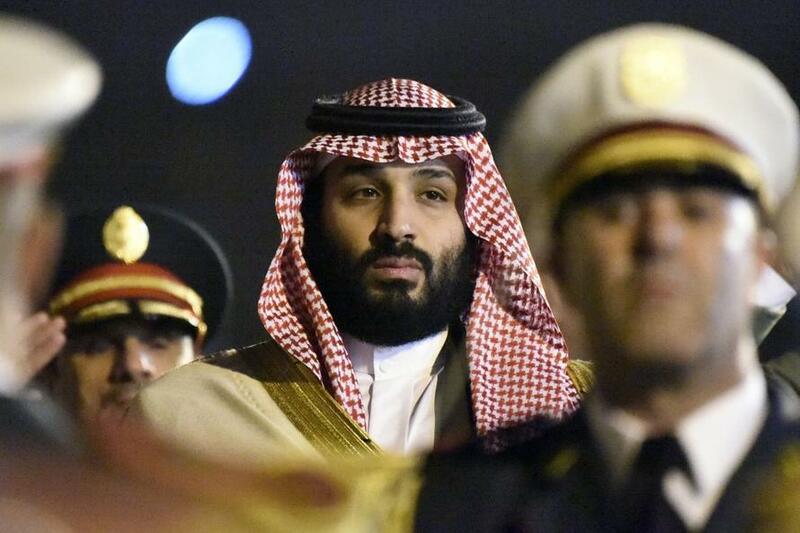 The Journal pulls no punches in turning the conspiracy theory into conspiracy fact, noting that the government of Crown Prince Mohammed bin Salman has spent billions to counter selloffs in recent months. 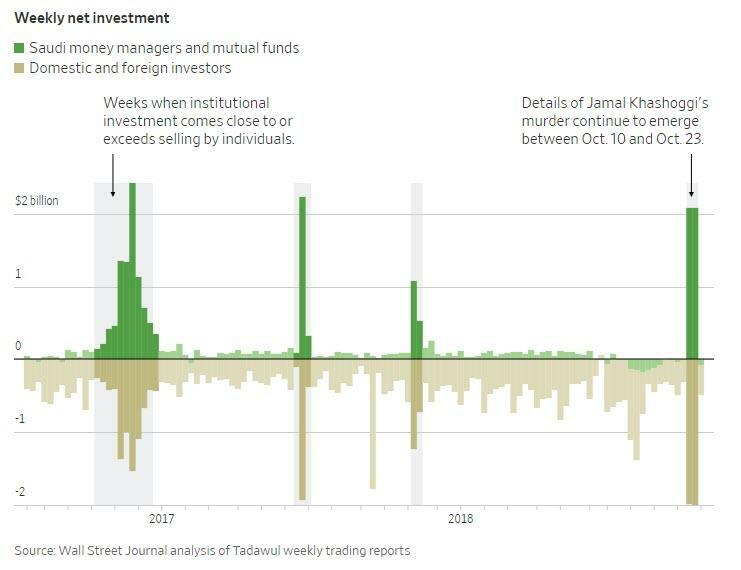 Most notably, while the Saudi stock exchange normally discloses how much stock the government buys, the recent purchases after political crises have been concealed from public view. That is because the government, rather than buying stock directly, has routed its money through asset managers at Saudi financial institutions who run funds that don’t need to reveal their clients, those people say. Through the upheaval, MbS' government has been keen to show the world that Saudi Arabia remains safe for foreign investors. “We need to highlight to the world that Saudi investment is good,” said a Saudi government official. To prop up the market, the government has bought stocks via its sovereign Public Investment Fund, or PIF, say people familiar with the matter. While the PIF’s recent stock purchases aren’t publicly disclosed, they’re openly discussed by Saudi traders. 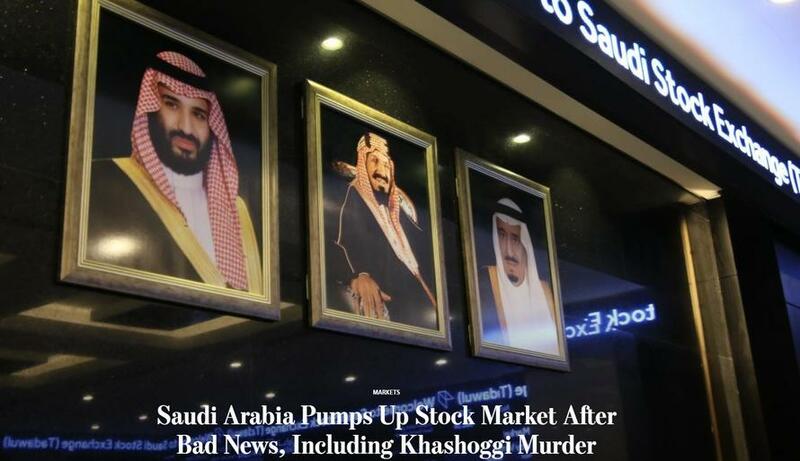 “In the bad days of Saudi Arabia, when there are troubles related to government, you see these flows coming in,” said Abdullah al Marshad, a trader at Saudi Arabia’s Samba Financial Group. 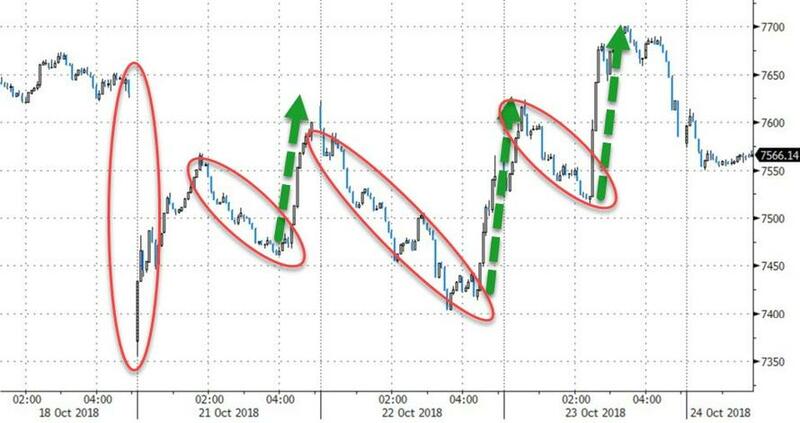 But in the short-term, all that matters is a bull market and the financial projection of economic strength, and as details of Jamal Khashoggi's murder in a Saudi consulate building emerged, the Tadawul All Shares Index (TASI) experienced 10 volatile days of trading. 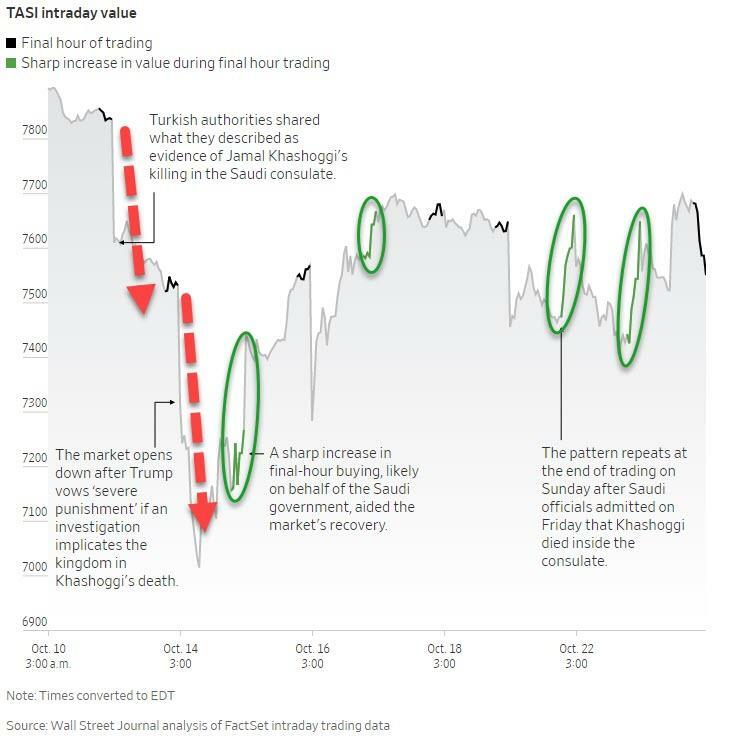 The Tadawul entered its steepest decline of 2018: Share prices sank 5% between Oct. 10 and 11. People familiar with the matter say most of the buying came from the PIF. Zoomed in the moves are all the more impressive and sudden. A selloff sent the market down about 2% on Oct. 22. In the 40 or so minutes before the market closed that day, heavy buying boosted it by more than 3%. How is it done? Very simple - When local share prices falter, one of these people says, PIF chief Yasir al Rumayyan tells deputies to start buying. They use the messaging program WhatsApp to contact managers at institutions including state-controlled NCB Capital Co. who manage PIF funds, this person says. The Journal concludes that data and interviews show the government bolstered the market by buying about $2 billion in stock that week, but of course, local (and state-sponsored) media credited the crown prince's remarks for saving the world. And so, just as OfTwoMinds' Charles Hugh-Smith wrote so prophetically in 2015, the herd must be turned away from selling by any means available, and at this point, that means coordinated buying by all the world's Plunge Protection Teams. Of course the PPTs of the world monitor key technical support levels, but what the PPTs are really monitoring is the dangerous sentiments of fear and panic. 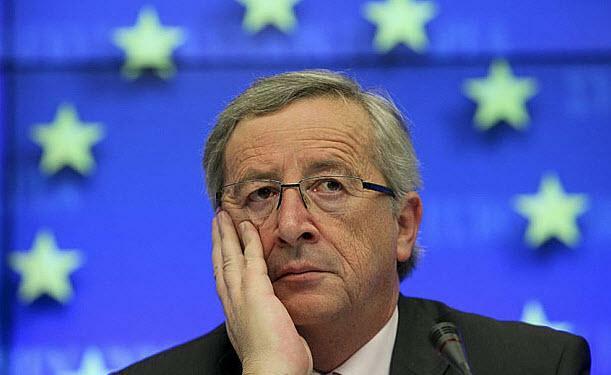 When the trap-door opens and the herd turns to selling, the entire sten-year prop-job will crumble. It seems the Saudis learned well on the real meaning of 'capitalism' and 'free' markets.